Why Does My Cat Only Eat the Gravy? Shelton, this behavior is more common than you might think. Many cats show a preference for the juicy part of foods with gravy. Since most pet cats are descended from desert-dwelling wildcats, they have very low thirst drives, so it isn't thirst. It's more likely to be a concentration of the over-the-top flavor enhancers that are added to many cat foods. Most commercial cat foods, even wet foods, have added flavors to entice cats since their core ingredients are often substandard and would not appeal to cats if offered without enhancement. Cats can become "addicted" to these extra-salient flavors and have their sense of taste dulled by them. This is why many cats will only eat fish products with extremely fishy flavors. Cats in the wild rarely prey on fish, and pet cats often become allergic to fish proteins, but commercial cat food manufacturers continue to add fish flavors because they're so strong that they overpower the bad or bland tastes of the other ingredients. This can be especially problematic when trying to switch a cat from junk food to more healthy fare. If you're interested in exploring more healthy foods for your feline friend, there's a great resource over at the Natural Cat Care Blog that lists all of the commercial cat foods they've tested in order of nutritional preference. Best wishes to you and your gravy-lover! How do I Transition My Cat From Dry Food to Wet Food? Laurie, any food change can be difficult, but it's especially hard to get some cats off of dry kibble. We often tell people that feeding cats dry food is a lot like feeding toddlers nothing but potato chips. They like it but it's not nutritious. You have to be careful. Cats can be very stubborn, and hunger alone will not drive them to eat if they don't approve of the food. They will starve first, so make sure they're still eating something and that there's fresh water available. The water won't provide enough moisture for them long-term but they should be fine until you can get them back on their wet diet. This might be a good time to try a re-hydrated freeze-dried raw food like Primal. They're even better for your feline friends than canned foods and they might like them better. Rad Cat Raw is another convenient raw food option. If you'd like to keep them on the food they ate before your son took over feeding duties, we suggest you try and make the wet food more appealing. You can do that by sprinkling a half a pouch of FortiFlora onto each meal. We've yet to see a cat who wouldn't eat practically anything this stuff is sprinkled on. In addition, it adds a good probiotic to their meals. If you go this route, be sure to get the feline version. It's pricey but a little goes a long way. We keep some around for use when a cat has a digestive issue or when they become finicky about a particular batch of food. This can sometimes happen when a cat is fed one thing for quite some time. Subtle variances in the flavor can make them reject an entire batch of a familiar food. A little FortiFlora usually entices them back. A word of caution - FortiFlora has such a strong flavor that it can cause flavor dependence. You want to give them enough to get them started on the wet food and then, after a week or so, slowly reduce the amount you add. If you're lucky, they'll continue with the wet food without the FortiFlora. 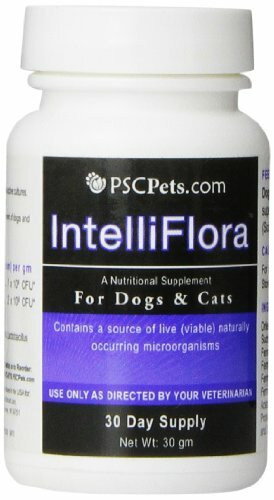 Intelliflora is another product that may work just as well and which does not include "animal digest" among its ingredients. We simply haven't used it yet, but plan to test it with our own feline friends in the near future. Laurie, with a little luck, you should have Eclipse, Twilight, and Starz back on a healthier diet in no time. We wish you and your kitties all the best! Help, My Cat's Not Pooping! Nancy, constipation is a symptom of something else that's going on inside Precious. It's too bad she can't just tell us, but we can do better than guessing. We can follow the clues she shows us and the ones the veterinarian's tools can reveal. If she's had a change in diet recently, she may just be having a change in her bowel habits. Many cats change their litter box habits when switched to a raw diet, for example, and poop less than they did on conventional commercial diets. If she's straining to defecate but can't produce results, you know for sure that she's constipated. It's important to first rule out intestinal blockage. All cats ingest some hair when grooming. Many cats will also ingest rubber bands, hair ties, strings, etc. and these can get stuck in their intestines, requiring surgery for removal. The only way to rule out blockage of this sort is to X-ray the abdomen. See this post on why you shouldn't use strings as cat toys. Other causes of constipation are irritable bowel syndrome (IBS), diabetes, kidney disease, pancreatis and other diseases that result in dehydration. To check if Precious is dehydrated, grasp the skin at the scruff of her neck and pull it upward without lifting her. If the skin springs back into place quickly, she's probably well hydrated. If it stays pinched and doesn't return to position quickly, she could be becoming dehydrated. A couple of notes on water consumption are in order. A healthy cat will only drink water a couple of times a week. If they drink more than that, they're showing you that they're dehydrated. Domestic cats are descended from desert-dwellers and have very low thirst drives. That's one of the reasons why dry foods are so bad for them. They get most of their moisture from the foods they eat. Adding a little water to already wet food can be the most effective way to get more water into their diets. 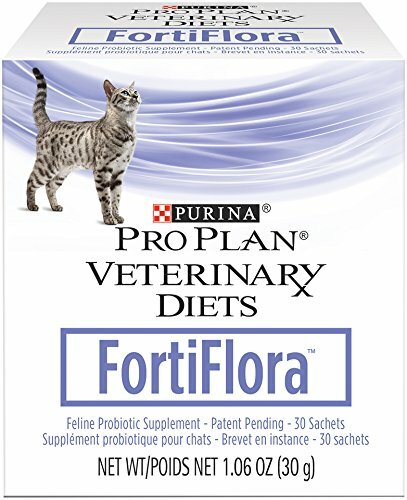 A wet-food-only diet is a MUST. Treatment must eventually address the cause of the constipation, not just the symptom. You can only arrive at a conclusion with the help of an attentive veterinarian. If you feel that your current veterinarian isn't digging into this matter to your satisfaction, there's nothing wrong with getting a second opinion. Symptom treatment can vary considerably with the cause, but commercial cat laxatives are never recommended. 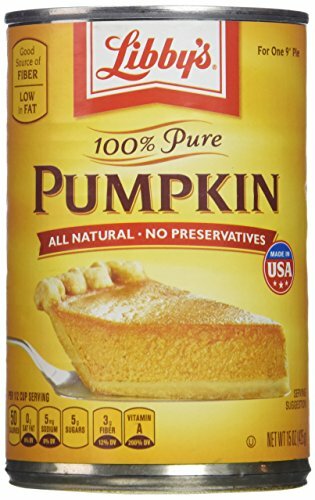 We've had the most luck adding a level teaspoon of canned pumpkin (100% pumpkin only) to wet food along with a couple of teaspoons of additional water. This treatment should be continued for at least a week. It's important to stop adding pumpkin soon after positive results are observed since too much fiber has been shown to increase hair balls in many cats. Nancy, you'll also need to try not to express your stress when observing Precious' litter box visits. Precious will pick up on your stress and it could have a negative impact on her improvement. We've even seen cases where a fretting human caused their cat friend to stop using the litter box entirely. Observe her casually and do your best not to let on to her that you're worried about her poops. One last thing to consider are changes to Precious' litter, litter box, or household in general. Any big change can cause large amounts of stress in an indoor cat. Look at her world from her point of view and see if you can identify any new causes of stress in her life. We feel certain that, along with a helpful vet, you can solve Precious' problem. We wish you both all the best!